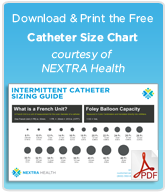 Today I found a fact sheet on CAUTI and catheter usage and thought I’d share some of the statistics and information with you. 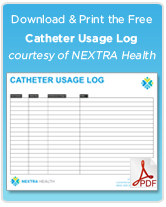 This review of CAUTIs and urinary catheters presents factual, sourced information about the incidence, causes, diagnosis, contributing factors, treatment, and prevention of CAUTI. 1)	Catheter infections are one of the most frequent infections today, with 8% prevalence in the homecare setting and 3-7% in the acute care setting. 2)	CAUTI is the second most common cause of bloodstream infection, and 3% of patients with a catheter will develop bacteremia (a life-threatening infection). Urosepsis can also develop, which also has a high mortality rate. 3)	CAUTI is diagnosed by finding bacteriuria along with an elevated white blood cell count. Some other signs are pain in the bladder or urethra, fever/chills, odorous urine, catheter obstructions, weakness, mental changes in old adults. 4)	Some factors increasing the risk of CAUTI include: catheters left in place for more than 6 days, incorrect positioning of tubing, pregnancy, malnourishment, diabetes, azotemia, ureteral stent. 5)	Treating CAUTI includes diagnosis and drugs and hospitalization in very serious infections. 6)	Prevention starts with removal of the catheter as soon as possible. The longer a catheter is in place, the greater the risk of infection. 2)	Use the smallest sized lumen possible when cashing. 3)	Keep the system closed to prevent bacteria development. 4)	While not proven, keeping perineal regions clean is recommended. 5)	Also not proven but recommended, increased fluid intake may provide benefit. 6)	Short-term silver alloy catheters can reduce incidence of CAUTI. 7)	Silicone and Hydrogel catheters are recommended for cathing longer than 2 weeks. 1)	Antibiotics in the drainage bag. 2)	Antibiotics and cleansers applied to the meatus.